There is a growing interest in the use of community health workers in various roles in the US health care system. These workers go by various titles and names -- including promotora and community health advisor -- but all assist members of the communities they serve. As the role of these workers becomes more accepted and desirable in the overall system of care, they face the challenges of moving from being an exceptional add-on to the system to being more a part of the mainstream. Issues such as educational preparation, formal credentialing, licensure and compensation are all part of this process. In particular, various organizations are interested in but challenged by the need for sustainable financing of the CHW position. It is time to explore and develop viable financing arrangements that go beyond short-term grants. To address these concerns, this research was undertaken to study sustainable financing mechanisms for community health workers. The focus is on existing and emerging funding, reimbursement and payment policies for community health workers. 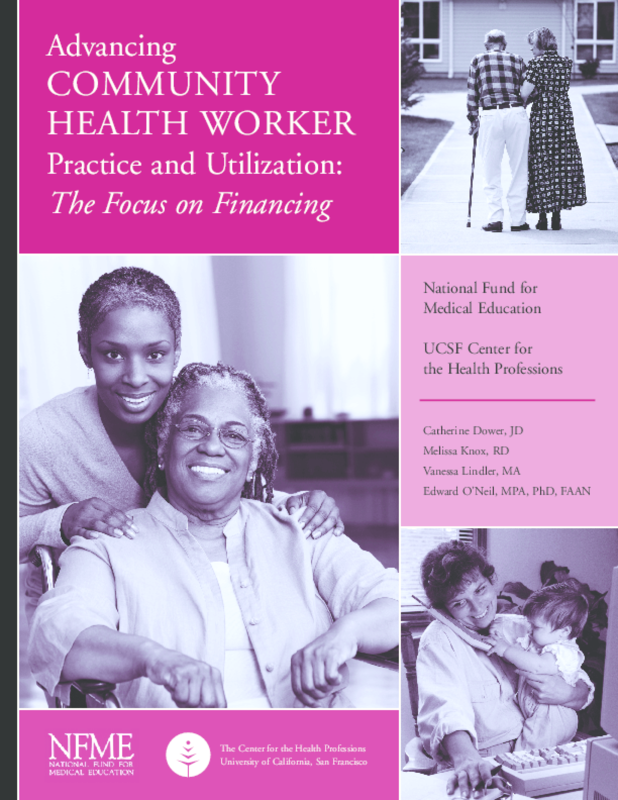 The study seeks to identify promising examples and models of payment programs for community health workers generally in the United States. To the authors' knowledge, this is the first national project with this exclusive focus. The audiences for this report include community health workers, directors of programs that employ or work with community health workers, and administrators of public and private coverage programs such as health plans, insurance companies and state Medicaid programs seeking options for improving health care access and quality at the same or lower costs. Businesses, non-profit organizations and consumers exploring the possibilities of using the services community health workers could provide might also be interested in the findings.